The Lagos StartUp DealDay is a three times a year investment round process run by the Lagos Angel Network (LAN). 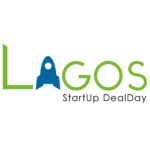 Lagos StartUp DealDay brings together LAN members, other angel investors and Lagos startup ecosystem players in a process where the most worthy startup ventures (in target sectors) are guaranteed funding. As an investment vehicle, Lagos StartUp DealDay raised over N100 million from LAN members and the early stage investment community for Lagos startups during 2016. LAN partners for the DealDay are VC4A, the Africa Business Angel Network (ABAN), Lagos tech hubs, incubators and accelerators. Applications close on Friday, February 24th. Qualified startups are invited to apply and make sure they have a venture profile published on the VC4Africa platform with their most recent pitch deck attached before the deadline. The more information provided (Commercial, Legal & Financial), the better your chances. Video pitches (no more than 60-90 seconds long) by the team, customers and investors are encouraged but not required. Shortlisted startups will be contacted/announced on March 20th and entrepreneurs from the shortlist will be invited to make formal pitches at the Lagos StartUp DealDay pitch event on Wednesday March 24th. Pitches will be delivered to a small, closed panel of Angel investors. Interested angel investors and investment syndicates should contact the LAN Secretariat by email at secretariat@lagosangelnetwork.net for more information on how to register noting that Syndicates are required to have or set up at least one Pro Account with VC4Africa to be eligible to access the shortlisted candidates and participate in adjudication. Pitch decks, video pitches and other startup information will be available to participating investors on the VC4Africa platform in the run up to the pitch event. The Lagos Angel Network is the premier angel network in Nigeria and one of the most active in Africa. Founded in 2014, LAN is run by a Board of Directors chaired by one of Nigeria’s foremost investors, Dotun Sulaiman with Tomi Davies, Collins Onuegbu, Tokunboh Ishmael, Dipo Adebo, Segun Olukoya and David Richards as members, LAN is growing a network of business angels and syndicates that provide startup funding, access to their business networks and mentoring to early-stage ventures in Lagos, Nigeria. Bilan baby shop & women fashion brings in product supplies that are new to the market i.e. especial baby’s furniture which was not available in the country/market earlier, also it specialized in marketing products for 0-8 yrs. old/ages, at some time it is advantage for young-mother to follow what is new in the shop through internet for advertisement and have pages using for advertisements.